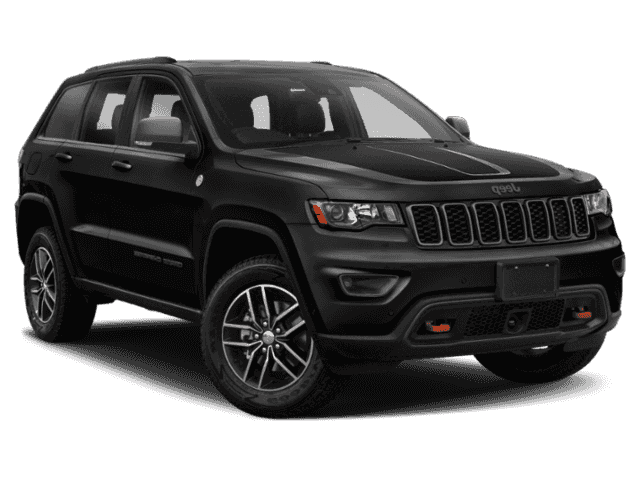 Are you up for a ride in the all-new 2018 Jeep Grand Cherokee? If you answered yes, expect luxurious elements combined with a sporty exterior and a drivetrain that can handle terrain like a pro. 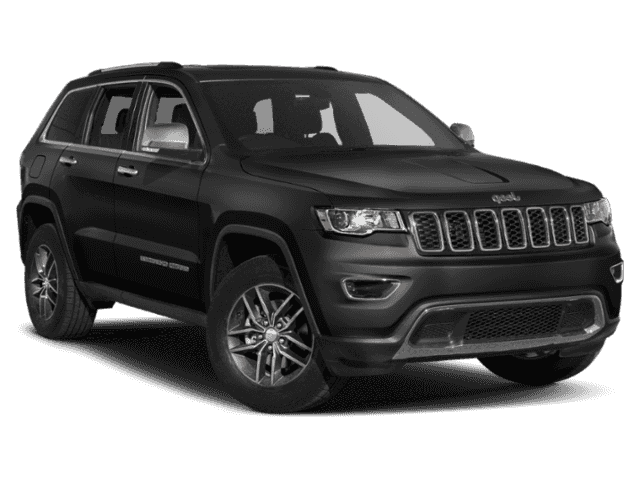 With 11 models up for grabs, it’s no surprise this SUV is a favorite among Jeep enthusiasts. Here’s an in-depth guide to the 2018 Grand Cherokee to help you make it through the car buying process. Get ready for a mouthful of trim levels. This year’s lineup includes the Laredo, Laredo E, Limited, Trailhawk, Overland, Summit, SRT, and Trackhawk, plus the Sterling Edition, Altitude, and High Altitude limited editions. Depending on which you choose, you’ll find 17-, 18-, or 20-inch wheels, plus halogen-quad headlamps, LED taillamps, and fog lights. Tinted glass and heated outside mirrors also make the cut, while a dual-pane panoramic sunroof and power liftgate are optional. 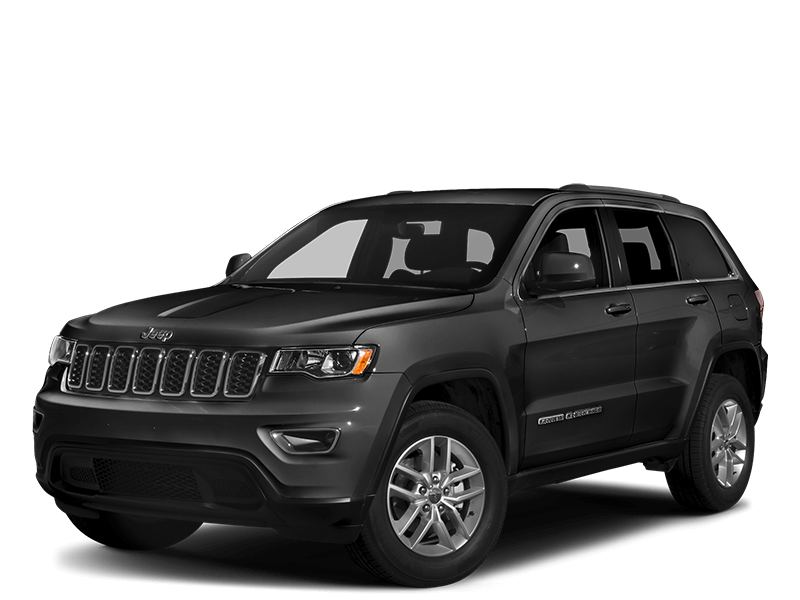 Powering the Grand Cherokee is one of four engine choices. A 3.6-liter 24-valve V-6, 5.7-liter HEMI V-8, and 6.2-liter supercharged V-8 make up the main lineup. The SRT gets an exclusive 6.4-liter HEMI V-8 under the hood. An eight-speed automatic transmission is standard, though you can upgrade to a variant that tacks on paddle shifters as well. 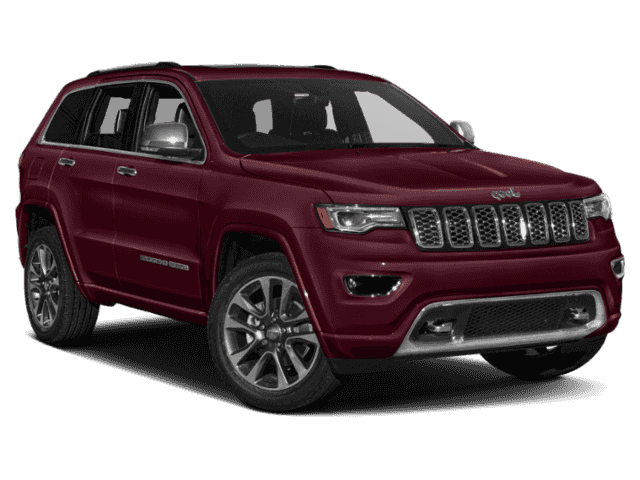 If you want a vehicle that exudes all-weather prowess, the Grand Cherokee is a great contender. 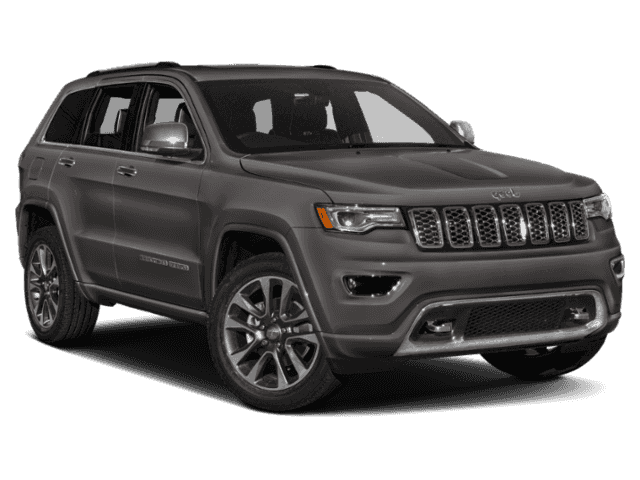 The advanced four-wheel-drive systems available for this model ensure stable traction in both wet and dry environments to give you the best handling and control you’d expect from a Jeep. Cooling systems are also equipped to avoid overheating of the transmission and engine. After all, no one wants to face the costly repairs of a breakdown. In terms of ground clearance, you can travel over different terrain without fretting over undercarriage damage. 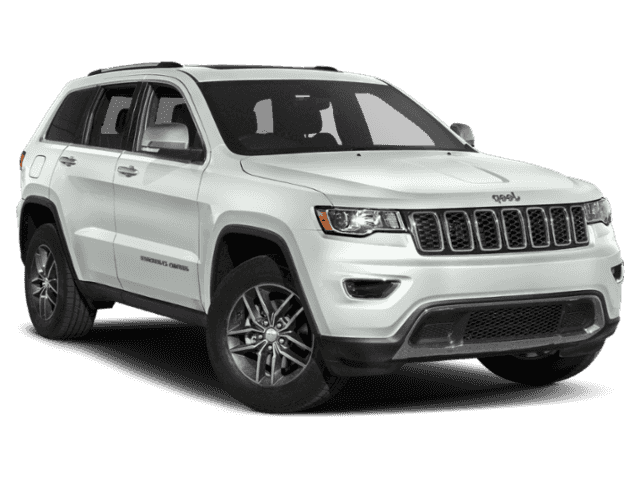 The Grand Cherokee has an approach angle of 26.2 degrees, a break-over angle of 19 degrees, and a departure angle of 24 degrees. The SRT and Trackhawk offer slightly less estimates, while the Trailhawk raises the break-over angle to 25.7 degrees. Relax in your SUV with appreciable amenities like dual-zone automatic climate control, interior LED lamps, and a choice of cloth, leather-trimmed, or leather seats. If you’re headed out for a road trip, fold the front-passenger or rear seat down for extra storage, and keep your items securely fastened with tie-down loops. The steering wheel also features a practical design with its mounted audio controls and tilting/telescopic frame at your convenience. Let’s not forget about entertainment; the dash is decorated with a touch-screen display so you can easily access your smartphone’s music library and apps, engage in hands-free Bluetooth calling, and listen to your favorite tunes via SiriusXM satellite radio. GPS navigation and a Blu-Ray player are available as well. 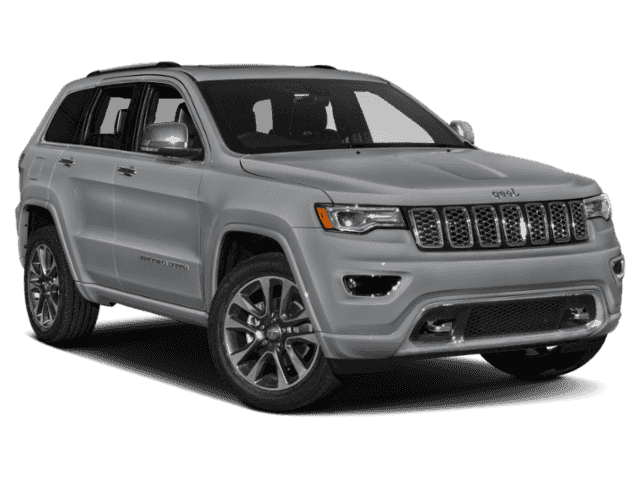 If you want a reliable vehicle that can keep you and your loved ones safe, the 2018 Jeep Grand Cherokee is a nice choice. It packs advanced multistage front air bags, active head restraints, and a front-passenger safety belt alert. If that’s not convincing enough, you’ll also find an enhanced accident response system for post-collision aid, a ParkView rear backup camera to cover blind spots, and a Sentry Key theft deterrent system to ward off thieves.